Instructor User Guide GradebookHow do I enter and/or edit grades in Gradebook? Student Name - Type all or part of a student's name to filter the results. 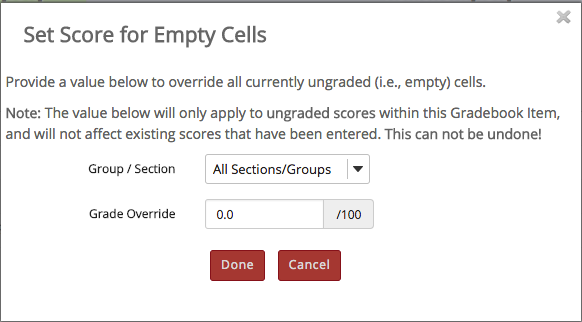 If you would like to enter comments along with the score, select the down arrow within the cell for a particular student score and then choose the Edit Comments option.